What would you do if everything you thought to be true in your life was a lie? Sixteen-year-old Angel Seriki must face overwhelming truths about her family when she meets Zander Black, a new student to her high school who is smart, charming and devastatingly beautiful. The revelations he uncovers to her about her family’s past changes everything, and as her relationship and feelings for Zander deepen, so do the risks involved. She must now accept her fate and face the true reality of who and what she is. Even if that means giving up everything, including being human. Good day, bookworms and welcome back to another book review. It’s been quite a while since I’ve done one of these simply because I’ve been having a VERY slow reading period lately (not to mention I am over 20 books behind my Goodreads reading goal – EEK!). Today I am bringing you a review on Truth by Michelle Johnson. 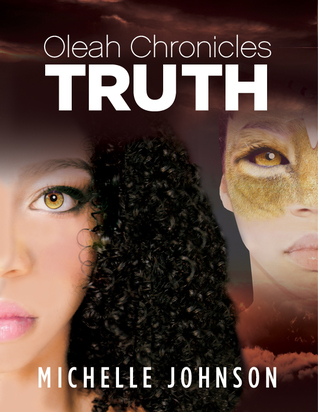 Truth is a fairly short fantasy/paranormal romance novel. Set in a contemporary setting, backdropped with elements of magic, paranormal creatures, and other worlds. While I like the originality of the concept in this story, this book personally didn’t resonate well with me. What I liked about this book is the new paranormal creature I’ve never heard of before: People with great powers who can shift into lion/cat-like forms. At least, I feel like I haven’t read this kind of thing before. (Who knows, they might start popping up everywhere now!) However, unfortunately, the way the story was executed and written didn’t appeal to me. There were a vast amount of over-used tropes that limited my enjoyment and many actions and thoughts the characters had made me confused and frustrated. The over-used tropes within this book was a turn-off. The “lost princess” trope, the “forbidden love” trope, the “gifted one” trope, and more. It seemed as though it had taken the formula for a fantasy story and stuck with it to a T. The main character has no idea what she’s doing, is confused with no knowledge of who she really is, and suddenly finds out that she is the key to destroying the biggest evil threatening the planet/s. Even though she doesn’t have any clue the power she possesses, she somehow learns to master it in the span of a day – this is something I am tired of seeing. Despite it being fiction, I’d love to see some element of reality, some form of struggle for the main character. There were many moments where I found myself frustrated at the characters, or confused with their motives. Decisions were made that did not work well with each of their characters. I feel as though these characters lacked substance. The bad boy who, after meeting the main character, is suddenly not a murderous bad guy, but suddenly is sacrificing his life for her – just because he met her? I need some reason beyond meeting her. Sure, falling in love is wonderful, but for it to be the thing that turns around an entire man’s character is hard for me to grasp, take a hold of and accept. Possibly there is something more: something that she did to show him that there was something beyond the life he was living. Something she did that taught him something. There definitely could have been more attention directed at building up solid characters that were open to grow through circumstances and people around them. The pace was easy to follow, but in my opinion, moved too fast. Everything seemed to just snowball down, one after the other, like an avalanche that it wasn’t easy to sit and enjoy one scene because another was already there in its place. If it slowed down a bit, I think there would have also been a greater opportunity to create the insight into the backstory of the characters, os get a better understanding of who the main character is, what her stakes are and what the overall conflict was, because I felt as though I didn’t really understand who the villain was and what they were doing. In the end, this book wasn’t for me. The concept was good, but the delivery and development lacked. WHAT DID YOU THINK OF IT IF YOU HAVE? This entry was posted in 2 Star Rating, Book Blog, Book Reviews and tagged book review, contemporary, romance, sci-fi, supernatural, YA. Bookmark the permalink.